Alto Cucina & Bar is the place to go for fine food and great company. Located in the Oasis Shopping Centre in Broadbeach, this restaurant is well known for its unique cocktails, delicious food and its great atmosphere. The buzzing energy in the room will instantly put you in a good mood, but it's the food and cocktails that will have you coming back for more. With a long drinks menu, there is always something on the list for every taste bud, from the Lemon Meringue cocktail to the Alto Caipiroska or even the Alto Oreo. Just the names of these beverages will tempt you alone; you can't visit Alto without trying one of their famous cocktails. Alto Cucina and Bar is a great place to catch up with friends and family all while enjoying some top class food with great company. 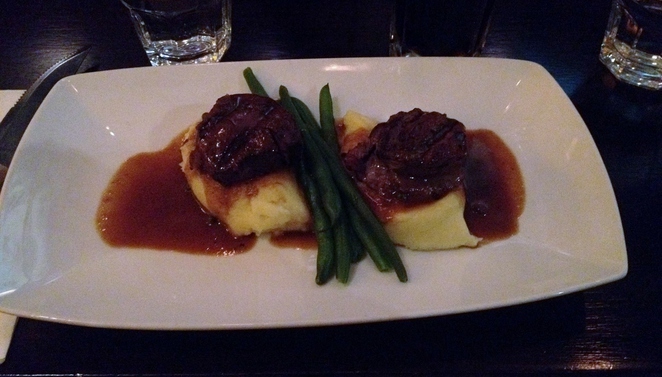 If you are having trouble choosing what to eat may I suggest the Eye Fillet Medallions served with creamy mash potatoes, green beans and a very tasty pepper sauce, or why not try a gourmet pizza. This restaurant is open for breakfast, lunch and dinner but there is something on the lunch menu which no one can pass up and that is the Black Angus Sirloin Steak Sandwich with crispy bacon, onion jam, lettuce, tomato, cheese, a horseradish crème-fraiche & chipotle mayo served on a Vienna bread with a side of chips; now how great does that sound! Did I mention dessert? Again you may have a tough time working out which dessert to try or should I say which dessert to choose "first", but whichever one you go with, you will absolutely love it. 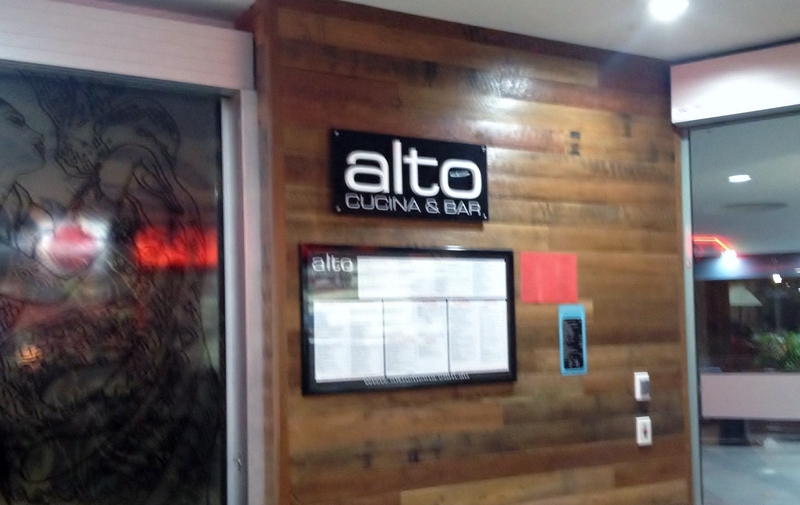 Alto Cucina and Bar is a great place for a birthday dinner, a work function or a good start to a night out on the town, with the lovely staff on hand they will make sure your dining experience is one you will never forget. Alto also caters for large groups with their set menus for lunch or dinner. The décor in this place is very charming and with the food, drinks and interior design it will feel like you have been instantly transported to the Mediterranean. If you are looking for somewhere to spend your New Year's Eve then Alto is the place to go. With a set price (bookings are essential) Alto serves up an antipasto, taste, cheese and dessert buffet alongside with Alto's signature platters. There will also be a resident DJ on the night to help you welcome in the new year.